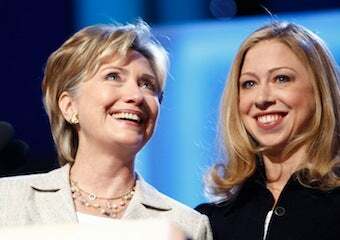 • More and more details are emerging about Chelsea's impending nuptials. She's picked the place (the Astor estate in Rhinebeck, New York) and the rehearsal dinner caterer (Terrapin restaurant). She even purchases some "understated" pillows from a local shop.